Juelz Santana was arrested earlier this week in New Jersey on suspicion of making terrorist threats and disorderly conduct. According to TMZ, law enforcement officials wouldn’t disclose what constituted the threats. Police say that the Dipset member refused to allow them to search his vehicle, which was later impounded. The Diplomats rapper was arrested and held for several hours. He was later released on $46,500 bail. 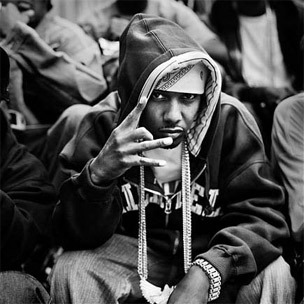 Juelz has been in the legal system’s crosshairs over the past few years. In February 2011, he was arrested after police found marijuana and weapons in his New Jersey recording studio. In August 2010, he was pulled over and arrested for driving without a license, and in August 2009, he was locked up for domestic violence charges.